LAST minute treat for a Man Teacher! I tried to make my version of a snow globe using this CUTE Peachy Stamp!! You can see in my video how I put this together! Now onto the BEST Design team in the WHOLE WORLD! 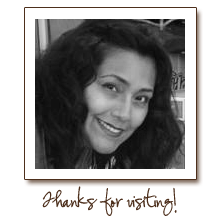 ;) Click on each of their names to see more pics & let them some bloggy love! Okay, since it's Christmas, I have decided to give away TWELVE of my FAVORITE things to ONE LUCKY person! I will announce one of the prizes for each day in my video! So by the 12th day, you will see ALL 12 items that ONE lucky person will be receiving! All you have to do is leave your comments each day! It's that simple! Please leave your contact information so we can contact you should you be the lucky winner. If you missed our 1st day, go HERE! If you missed our 2nd day, go HERE! If you missed our 3rd day, go HERE! If you missed our 4th day, go HERE! If you missed our 5th day, go HERE! If you missed our 6th day, go HERE! If you missed our 7th day, go HERE! So cute!!! Thanks for always taking the time to do a video!!! Its fantastic!!! And your DT's projects are another day of AMAZING!!! Sorry your not feeling 100% !!! one this is a great way of making one for her!!! These are fabulous projects. Love those little flower pot snowmen. They have such fun personalities. Thanks for all the inspiration! Emma, I hope you are feeling better! I love snow globes! Once again your design team has done a fantastic job! You and the design team inspire me! Hope you have a fantastic weekend! Hi Emma gosh I hope you're feeling better did someone do a Starbucks run 4 U? 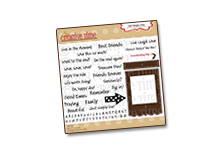 Love your project it is so stinkin' cute gosh how do you keep coming up with all your fantastic project ideas they are stellar! I can't wait each and every day to head on over at 5:30 a.m. and your DT has been doing just turning out one awesome idea after another my head is spinning with all this greatness it's just doesn't get any better than this. Now a little HOLLA to your MAMA for helpin' you out.....HOLLA!!!!! HI Emma Love all the videos you do it is the first thing i do when i get up in morning is watch your videos .The things you make are just so nice it makes my day . This is so adorable!!! What a great job!!! I really wish I had PKS. I'm always worried I'll buy the wrong ones. ugh. That's the cutest little elf girl I've ever seen. Colored beautifully, I might add. Adorable project. Feel better. snow globe. Hope you feel better. That little elf is so cute! Love your homemade slow globe! So clever!!! another beautiful project, once again the DT amazes us with talent. Very cute homemade snow globe! Hope you feel better soon. Your project came out super cute. 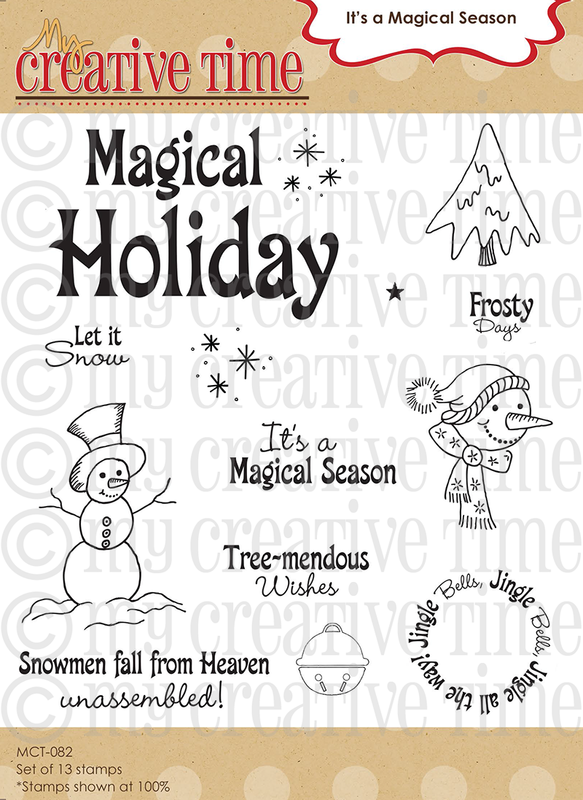 This is a great idea for all the snowglobe lovers in our lives. Thanks for sharing. I love snow globes and this reminds of them. Thanks for the great idea. Super cute!! I totally get it with your video! Great little home decor. Hope your feeling better. This project came out great anyway. Your snowglobe is awesome! I love snowglobes - thanks for this creative idea! Love the projects from your design team as well. Hope you feel better! So so cute! Love this Emma! Everyday you come up with something adorable. Thanks for sharing .I appreciate you. Miss Emma, this jar is super fun to do. This is easy to do. Thanks for share this video. The designer team do a great job too. So fun looking through all these wonderful projects, love the snow people made from flower pots..too cute! 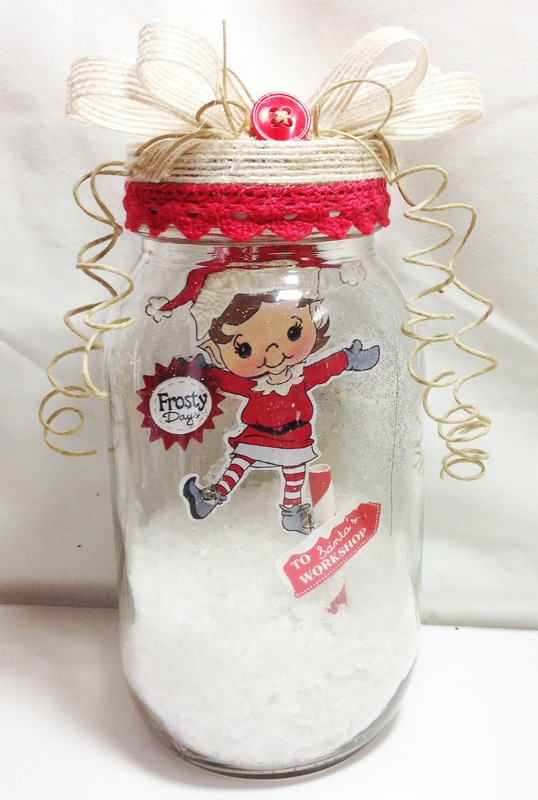 What a beautiful snow globe jar, love the little PKS girl! I am so sorry you don't feel well, I have a house full of sick family members and woke up not feeling well either :( Super cute projects from the design team too, they are so talented! Hey Emma, checking in late today because I was over at Hobby Lobby trying to snag the supplies for yesterday's project you shared. I actually found a plastic version that is a bit larger..but I think it will work out fine. I am making 25 of them for my husband's staff....so the plastic will be easier to travel with. Anyway...today's project is adorable and you amazing you can pull of that cuteness when you don't feel well. Rest up...we still have several days left! Take care. stacy (slbuller at fullchannel dot net). LOL....Too!Too!CUTE! !Love it! 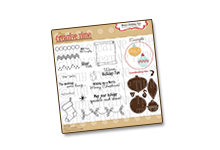 !Adorable DT Projects! 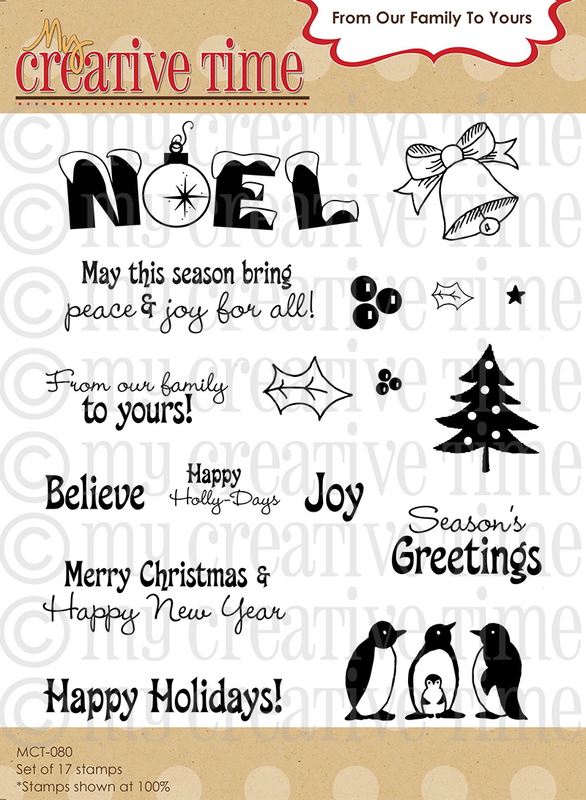 !I just LOVE the 12 days of Christmas! !Awesome & Fun!! Very cute project! Your design team has also done a fantastic job. I hope you are feeling better today. First and foremost, hope you are feeling better!!! 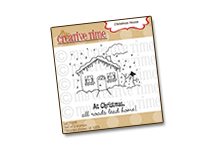 This project, like the others......so stinkin' cute and your stamps - so versatile! Thank you to you and your wonderful design team for all these wonderful ideas!!! 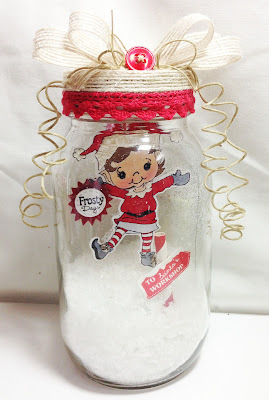 Beautiful Christmas jar. Love that stamp set! Hope you're not coming down with anything. This is Fantastic!! I love the little elf and the top of the jar is sooo pretty!! Wow, beautiful project Emma, thanks for sharing and you DT is doing a great job. That is soo cute. It looks way better in picture then on YouTube. Very cute! The coloring & fussy cutting look perfect. The twine curly ques are perfect on this project. TFS with all of us. This is sooooooo adorable! How clever, making your own snowglobe!! Priceless!! love love love your little elf snow globe!!!!! Super Duper Cute, I love it Emma! Great idea and something the kids could make with a little help. Cute snow globe! Having so much fun seeing what you and your DT come up with. TFS and thanks for the chance to win this awesome prize! Emma, I am having so much fun checking out everyone's projects! You are all so talented. I love your project today, so cute. cute project! Hair spray - genius! I have a project that needs that idea so thank you!! What a great project!! Your DT projects are awesome also! So cute! Love the snow and also the gorgeous trims you used on the lid! 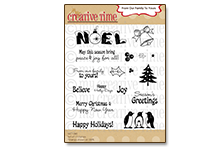 Very cute Emma, love that sweet peachy stamp and I love your embellishments and of course the Design Teams projects are all great. Emma, She is darling! I love that she dangles in the jar. So many good ideas! Just need more time.. This is so adorable Emma!! LOVE how you put it together as well...super creative!!!! TFS and have a GREAT night!! She is a cutie. Like the idea of working with the jar, have more room to work with. LOVE this snow globe!!! Its super cute as always! Adorable globe jar..thanks for sharing!! I agree, the pictures doesn't do it justice, Emma. Your snow globe is so cute!! 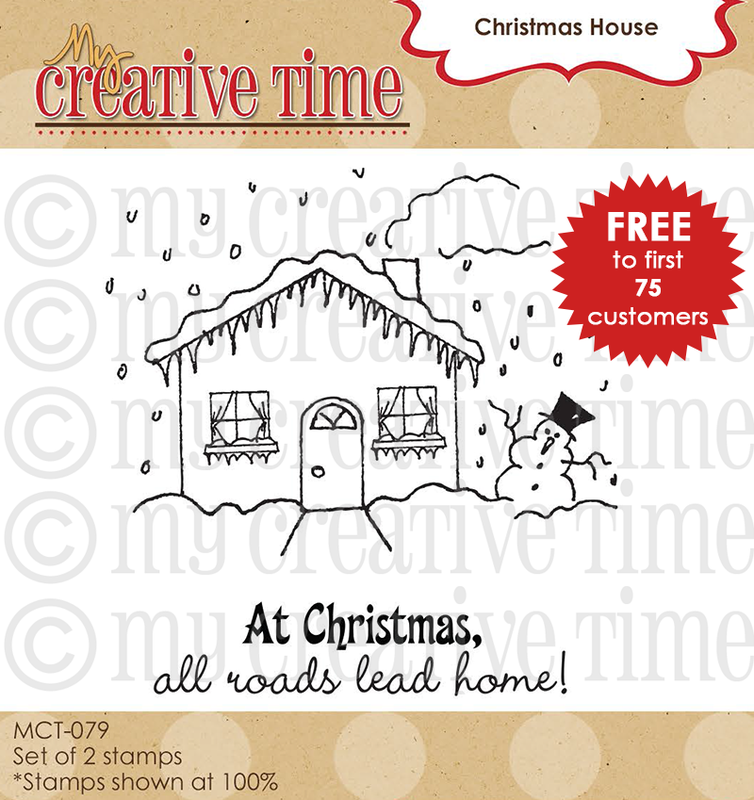 Love the "snow"
Thanks for sharing your video and thanks for the chance to win your awesome stamp! 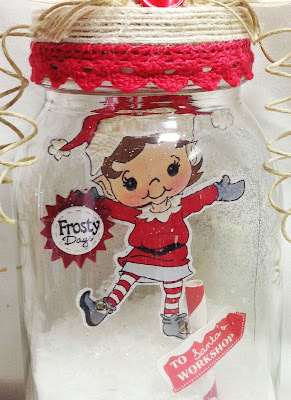 So clever and cute to put that Peachy elf in the jar. I love it. You and your great Design Team were full of great ideas today. Hope you are better soon and ((hugs)) to Momma Emma! Like the snow inside the jar. Really cute. Super cute! The Design Team projects are still looking amazing too! Great team you have! Oh Emma this is adorable! I think the pictures came out great! TFS keep em coming! The closer we get to day 12 the better projects get, & just when I think stuff can't get any better/cuter they do! Such a cute alternative to the usual snow globe! And the design team has yet again amazed me! Great job ladies!! she's adorable, Emma! I think we should have more than 12 days of Christmas! Maybe next year we do a countdown to 25 ... whaddaya think? How do you and your mum come up with these things!!!! Love your brains!!! Emma ~ OMG ~ this is ADORABLE!!! I LOVE that PKS image and you did her PERFECTLY!!! I LOVE she is holding the little die from the Build a Banner set ~ Too CUTE!! The little sign ~ CLEVER!! The jute, hemp and ribbon on the lid is so flippin CUTE!! I LOVE it too! What a really CUTE and CLEVER idea ~ AGAIN!! Okay you have my addy to send me this one too! LOL The DT's again just did a FABULOUS job!! Eek! Totally blowing my mind here!! only one word for this project...adorable. tfs. Great stuff, as usual, from you and the design team! OMG this is so stinking cute, how do you always come up with such great ideas! Wow, I think this one of my favorites so far this week. WOW You and your team did it again. TFS the great ideas. Emma, this idea is so fantastic!! I cannot wait to try my own snowglobe! This is really adorable, I like the little elf in the snow globe. A great project to do with the kids. Fantastic job from you and the DT. Thanks for sharing and the chance to win. Some really really cute ideas here! That elf is so perfect and fun in a snow globe! LOVE it!!! Your DT rocks!! They are amazing and so creative:) Enjoying each day of creations! Everything just gets cuter & cuter! Such an adorable snow globe...awesome job!!! Great work!! Lots of inspiration here. TFS, LyLy. Adorable! TFS! You're design team is amazing as well! Hope you get to feeling better soon! Super cute project! Lots of inspirational today! Thank you. Love this project! 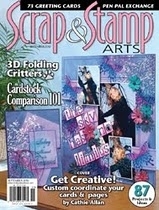 It's fun to see all the different things you create with your dies and stamps. So sorry you're feeling off. My kids are taking turns with a virus of some kind. I hope you'll be back to 100% soon! Thank you so much for spending the time and energy to craft for us, despite the way you feel. Your "snow globe" is adorable! This just goes to show that your talent doesn't suffer a bit, even when you are! Love the projects!!! 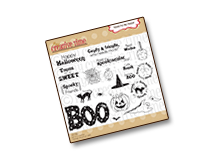 I love that Peachy Keen's stamp set! 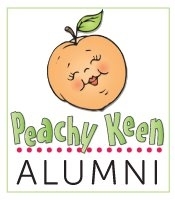 I love that new Peachy Keen stamp set, one of their cutest yet. Altered art isn't normally something I'm interested in but Miss Nancy's cross is beautiful! Thank you so much for sharing. I really love all the inspiration that you give to all of us. Great ideas from you and your team. Thanks for sharing. 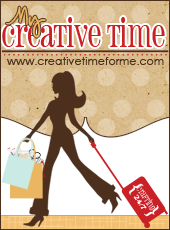 Thanks for sharing your craftiness, really cute ideas from all. hope you are back to 100%. What a great way to make a snowglobe. You are so talented. Super cute snow globe! It reminds me of some that my son and I made one Christmas using baby food jars! 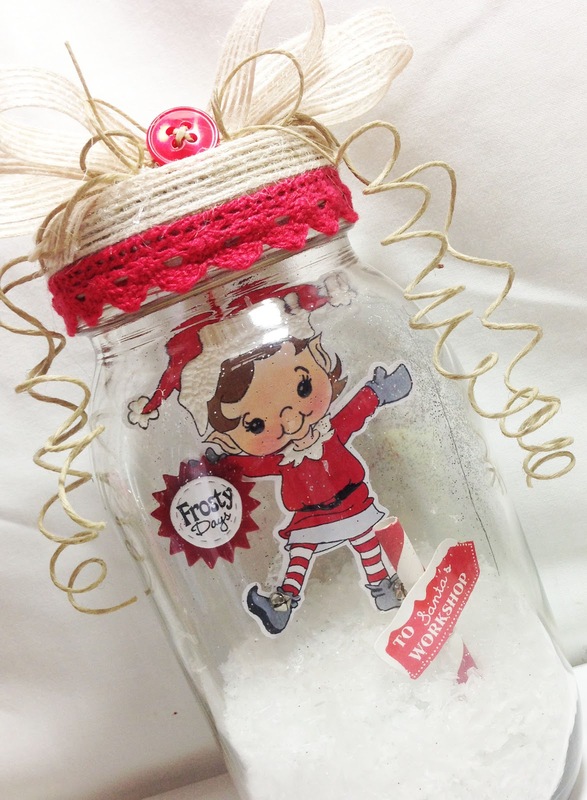 Fun homemade snow globe! You did a wonderful job with it. Thanks for sharing. Those flower pot snow men - sooo cute. What a cute idea for a snow globe. Thanks for sharing. LOVE the snowglobe and your DT is amazing. 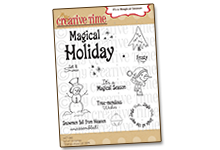 It's a Magical Season is adorable. So many cute and clever ideas. OMG Emma this is the cutest thing ever I love it!!! 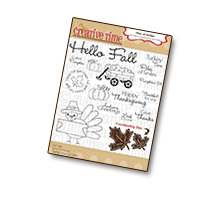 Another great group of ideas to file under "Things to Make"
I love it all!!! Keep up the fabulous work! ADORABLE I so want to make a snow globe now. How cute. I just love snow globes and that little elf is adorable. Fantastic job! Loved this snow globe!! He is super cute! I love peachy keen. Always so cute. Awwww! This is so cute! I love the peachy face!